Let’s get real today. It seems like everyone I know (both in the blogging world and in real life) is going through some major life changes lately. This season has been super busy and maybe a bit stressful for all of us, including me. 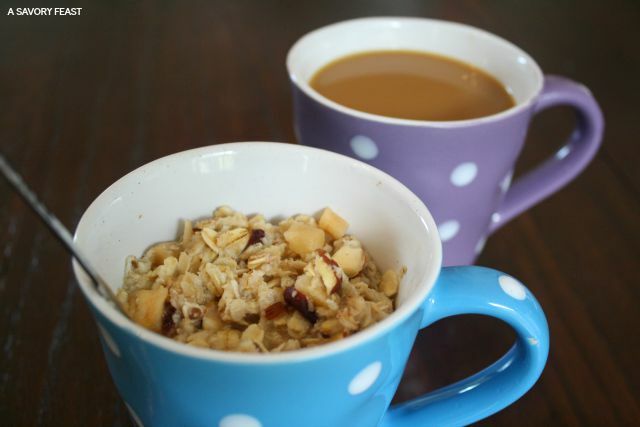 Today I’m talking about some changes I’m making this Fall for a more relaxing morning routine. What has your schedule been like lately? Pretty full? I know mine has been. We are about a month and a half out from the wedding. For the past few months we haven’t had a lot to do to get ready, but now it’s all picking up the closer it gets. Right now I’m working part-time as a nanny in addition to blogging. Over the past few months I’ve gotten way busier with sponsored posts and other fun opportunities for my blog, so it’s been requiring a lot more of my time. With such a long to-do list, I’ve been starting to feel overwhelmed and stressed a lot more. It seems like there just aren’t enough hours in the day! But to cope with this, I’ve been making a few changes to how I start my day. Getting off of on the right foot makes all the difference. Lately I’ve been trying to set the alarm for 15 minutes earlier on the days I know I have a lot to get done. I’ll admit, there are mornings (like today) when the alarm goes off and I just go “nope!” But when I am able to convince myself to get up a tad earlier, those few minutes make such a difference! I always feel like I get WAY more done on these days, even though it’s just a couple minutes. Usually my breakfast consists of scrambled eggs and coffee. Making breakfast like that takes time, though, so I’ve found a way to simplify breakfast time. I just discovered Nature Valley Bistro Cups. It’s oatmeal that you make in your brewing machine. 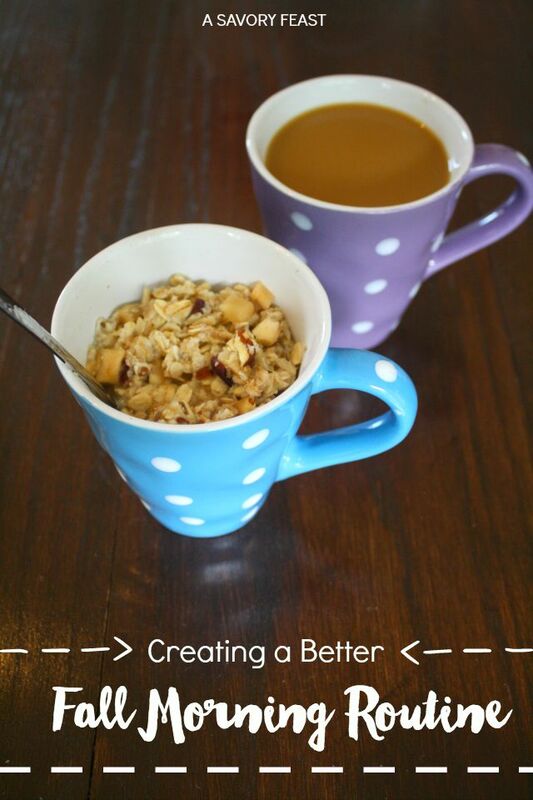 After you brew a cup of coffee, pour the oat packet into a mug and pop the bistro cup into your brewing machine. Breakfast in under a minute! I really liked how hearty and filling these Nature Valley Bistro Cups are, too. Breakfast is a must for me, and I don’t like feeling like I’m still hungry after. This oatmeal is packed with lots of ingredients that will make you feel great. In the past couple of weeks I’ve been challenging myself to stay off of social media during my morning routine. I’ve found that it really helps me slow down and keep my mind from getting too busy first thing in the morning. I always have a to-do list for the week and often for each day as well. Lately I’ve been highlighting 3 or so tasks are “top priority.” No matter how my day goes or what else comes up, I make sure to focus on getting those things done. 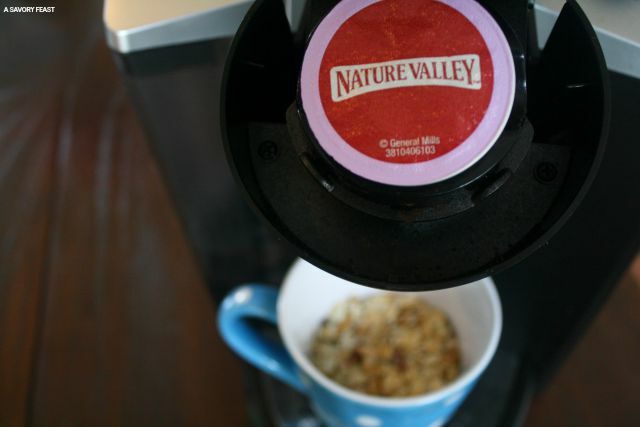 Even if a few other tasks have to get pushed to another day, it’s ok.
Want to simplify your morning routine and try Nature Valley Bistro Cups? Enter to win a $10 PayPal gift card so you can purchase them at your local grocery store. It’s the first week of Fall, and I’m celebrating with the second annual Fall Welcome Week! I’ve teamed up with lots of great bloggers to share all sorts of posts that celebrate the season. We’ve also got a great giveaway, so be sure to enter! If you have a Fall-themed post, link it up below! We want to see your recipes, fashion tips, bucket lists, DIY projects, home decor inspiration and more. These bistro cups look REALLY delicious! I’m definitely going to try them. And I’m with you–there just doesn’t seem to be enough hours in the day! Thanks so much for this giveaway! They are so yummy! Thanks for letting me know about the giveaway, I’ll check that out. My fall routine basically revolves around my child’s school and if I am subbing or not. It has been a rough adjustment to getting back into the swing of the school schedule. I do think keeping off social media in the morning is a good idea and is very helpful to ensuring you keep on track! Staying off social media in the morning really helped me! I do a lot of my blog promotion from social media so if I get on in the morning I start seeing notifications about all these things I need to do. Before I know it I’m stressed out! This is great! 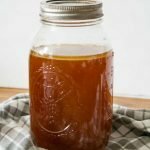 I’m going through a job change right now and really want to establish a proper morning routing! 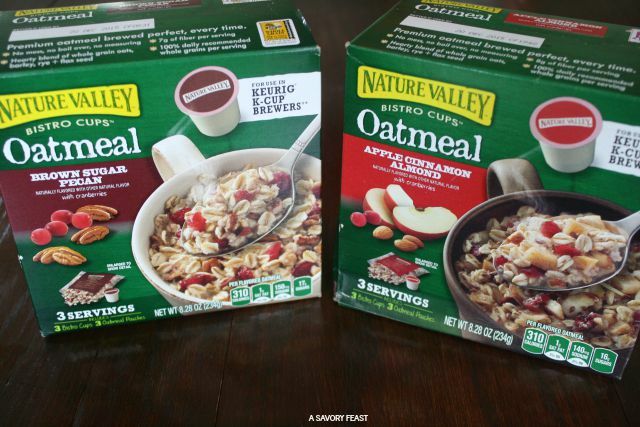 I love having oatmeal in the morning so I am definitely going to try and find these! These changes have made my morning routine so much better! I hope they are helpful for you, too. And you will love this oatmeal. These are great tips for a better morning routine! I’ve been trying to slowly wake up earlier, some days it doesn’t happen but other days I am surprised by how easily I wake up and pop out of bed! Also I definitely want to try these bistro cups! I love oatmeal! Waking up earlier has been hard for me lately but I’m trying to at least get a few extra minutes in my morning! You’ll love these bistro cups. They make breakfast so easy. 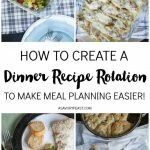 These are some fantastic tips for a better routine! I absolutely need to work on this ASAP because, well, having a baby throws off my usual (pre-baby) routine, and I need to find a balance where I get some time in the mornings just to myself before she wakes up. And I have a feeling a LOT of these things you’ve listed here are going to help. Thanks, lady! 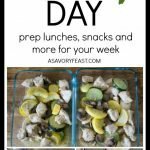 These things helped me to start my days off right, without getting overwhelmed and exhausted right from the start. I hope they help you, too! I only work part-time, and I just don’t know how people keep up with their blogs when they work full time! 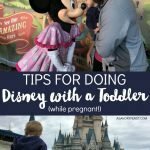 I hope you are able to use some of these tips. Waking up earlier is the hardest one for me, too. This looks like yet another awesome reason for me to get a Keurig machine. Instant oatmeal in a mug looks yummy! And I’m horrible about getting on social media on my phone first thing in the morning. I convince myself that it will only be for a few minutes while I wake up, but that’s never really true. Maybe I’ll add that to my Fall routine goals as well. You need a Keurig! With these Bistro Cups you can make your coffee and breakfast in just a couple minutes. So easy!